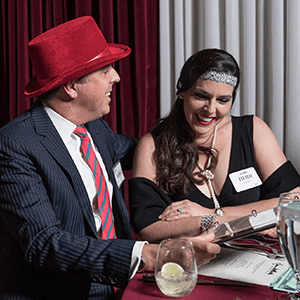 Throw the party of the year with The Murder Mystery Co. in Toledo and immerse yourself in a night of mystery, intrigue, and murder to die for! Sit back, enjoy your party, and let our professionally trained performers do all the work! 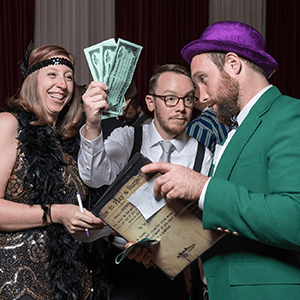 Live-action murder mystery parties are Toledo's most unique and engaging way to entertain for privately hosted events. 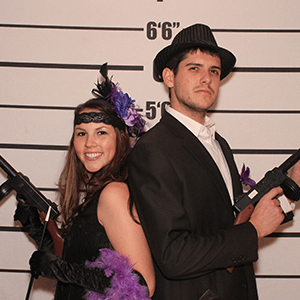 The Murder Mystery Company is Toledo’s Expert in Mystery Entertainment. The Murder Mystery Company is taking over Toledo with our troupe of mystery experts. We are waiting for your call to plan the party of the year! 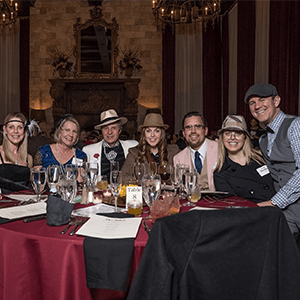 Our professionally trained performers are ready to help you throw a killer party your friends will never forget with all the mystery, intrigue, and murder you can ask for. With so many different themes to choose from, you are sure to find the perfect one, and we can even customize it to your specific event! 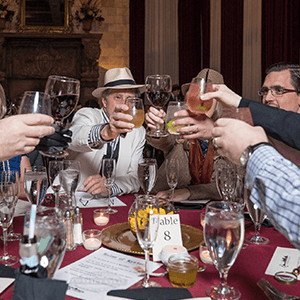 Toledo better strap in, because your next private event is in for a killer ride of mystery, intrigue, and murder with The Murder Mystery Company! We’ve been tearing across the country, bringing killer crime scenes to 24 states, and over 300,000 guests, and now it’s time to stir up a mystery in Toledo! Grab your detective cap and get ready to sleuth the night away with us! Our mystery experts are dedicated to creating an immersive mystery experience for each of our customers. 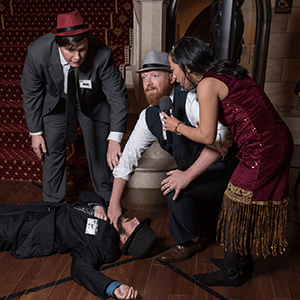 To do this, we have created an exclusive training method called the GRIMprov method, and we utilize it on each of our performers so we can guarantee that you get the very best in mystery entertainment from The Murder Mystery Company!